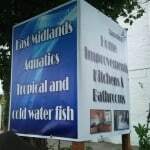 Nicely tucked away just off the A45 is the Wellingborough branch of Maidenhead Aquatics. 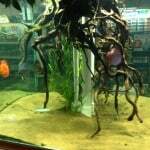 This is one for the marine enthusiast but caters for all aquarists. 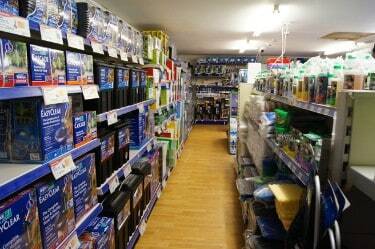 The first thing that strikes you when you enter the Wellingborough store of Maidenhead Aquatics is the well stocked and tidy shelves stacked up with dry goods, all the food and equipment any fish keeper could need (and more!). Prices are all as you would expect from this chain so no great surprises there. 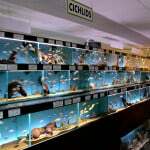 Having said that, the fish were all well priced and some bargains could be had compared to other branches of this chain. 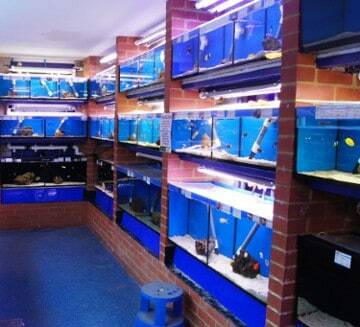 The fish room itself is well laid out and if you are in to keeping marine fish then you are in for a treat. 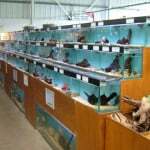 A good third of the store is dedicated to marine fish with dozens of tanks with some odd and special marine fish as well as the normal marine fish you would come to expect to see in any stockist. 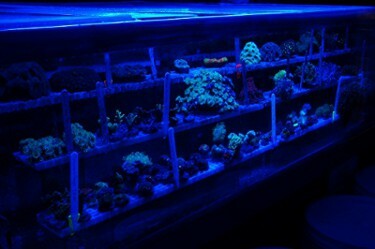 There is a remarkable 10 foot x 4 foot (1700 litre) coral bay too which is worth a visit on it’s own. 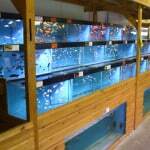 The rest of the fish room is made up of a few cold water tanks and the remainder being freshwater tropical fish. 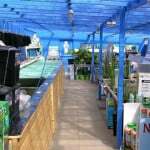 All types of fish keepers are catered for with a good range of Malawis as well as community fish and a few special L-number Pleco’s and oddballs such as Arowana. 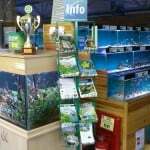 The staff were extremely helpful and dedicated, I can say this confidently as I tried to buy some fish which had only been in the store for a few days so they were under quarantine and I couldn’t persuade them to sell them to me which I have a great respect for, as the store colleagues seem to for the welfare of the fish so a big thumbs up for that! 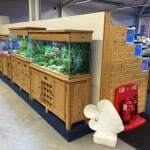 If you are in the area then certainly pop in to check out Wellingborough Maidenhead Aquatics and if you are a marine fish keeper it might be worth making a special trip and travelling a few miles to check out this LFS.